Black history is inseparable from American history, and the black experience represents a profound and unique strand of the American story. 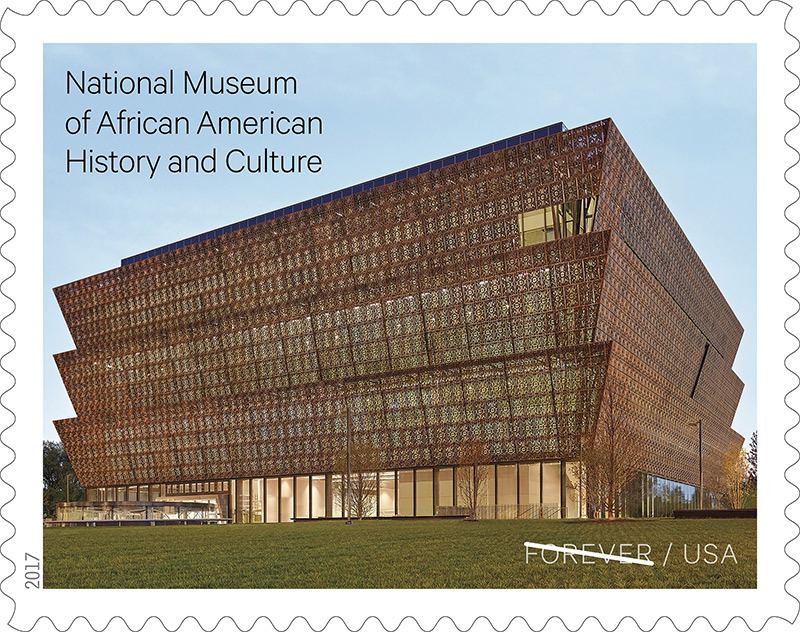 This issuance recognizes the richness of that experience by celebrating the National Museum of African American History and Culture in Washington, D.C. The stamp art is based on a photograph of the museum showing a view of the northwest corner of the building. 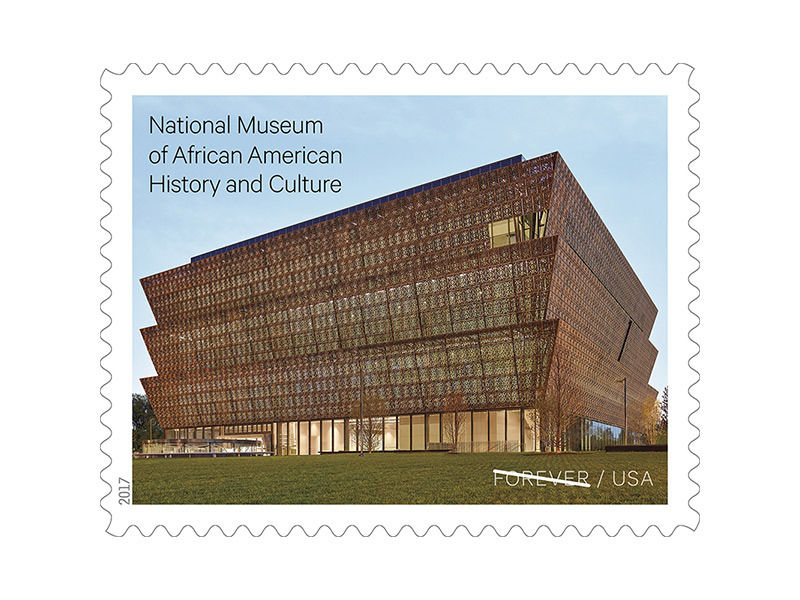 Text in the upper left corner of the stamp reads "National Museum of African American History and Culture."